Pac Div’s, Like, recently traveled to Sao Paulo, Brazil and after spending some time in the city and taking in everything it had to offer, the rapper headed to the studio after being hit with inspiration. Check out the California native as he took in the beautiful sights and walked along the rugged streets performing to the camera. 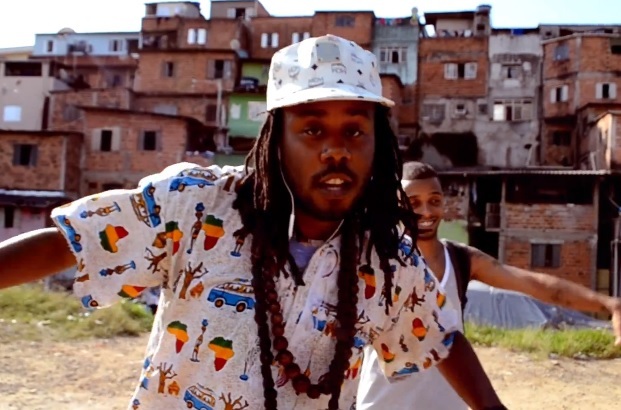 “Sao Paulo” also features the rapper-producer going in over a hypnotizing sampled based beat courtesy of Renan Samam. This entry was posted in Music, Video and tagged brazil, like, Music Video, Pac Div, renan samam, sao paulo. Bookmark the permalink.